HarperCollins is proud to present its range of best-loved, essential classics. `I would give up the unessential; I would give my money, I would give my life for my children; but I wouldn't give myself.' Heralded as one of the first instances of feminist literature and rejected at its time of publication by the literary set on grounds of moral distaste, Kate Chopin's The Awakening caused consternation in 1899. Constrained and confined by the limitations surrounding marriage and motherhood in the late 1800s, Edna Pontellier begins to challenge the notion of femininity through her thoughts and actions. 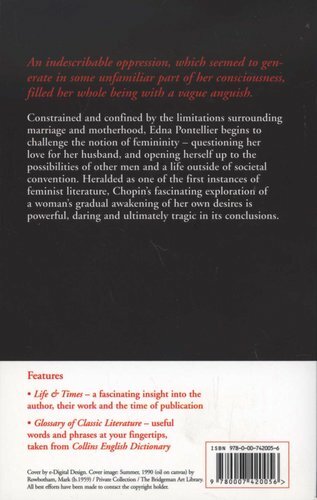 Questioning her love for her husband, and opening herself up to the possibilities of other men and a life outside of societal convention leads to a gradual awakening of her desires. 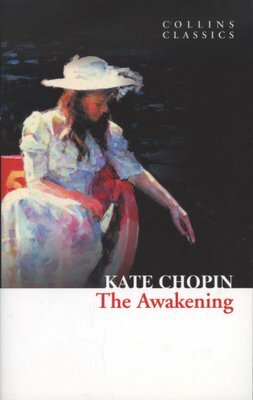 Chopin's fascinating exploration of one woman challenging the expectation that surrounds her is powerful, daring and ultimately tragic in its conclusions.